Nonthaburi is often referred to as ‘the rural side of Bangkok’, a slightly odd description for a city with over half a million people. Sat next to Bangkok, Nonthaburi is the second largest city in Thailand, but yes it does feel oddly rural, certainly when compared to Bangkok city centre. It is the pace and simplicity of life that sets it apart, the patches of green on the landscape and the escape from towering high rise buildings which we’re used to as city centre dwellers. 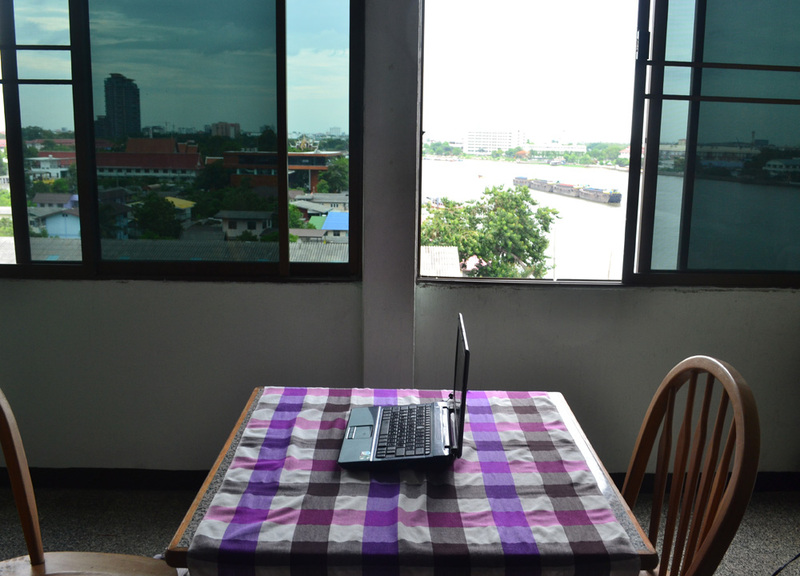 On my visit I decide to stay a couple of nights in Nonthaburi organizing a small studio apartment through AirBnB set on the opposite side of the river. I cozy in expecting to complete some work, but fail. The plan was to escape distractions, yet I find less expected attractions in Nonthaburi to keep me away. The apartment couldn’t be better located, directly above the Muang Bangsri pier which acts as the main crossing from the opposite side of Nonthaburi Pier. On my side I see views from my window over shophouses, low rise buildings, palm trees and ornate temple tops. The opposite is not so different, only less green, and with a constant reminder on the horizon of big city life in Bangkok. The Muang Bangsri – Nonthaburi crossing is the main transit point in this area, a 24/7 crossing across the constantly busy Chao Phraya river. 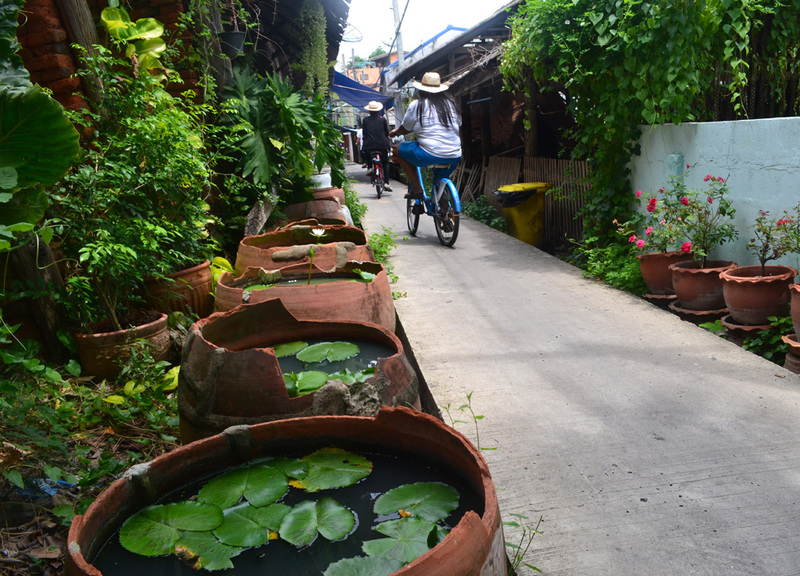 I nestle in, explore local life, and when the feet get itchy, I go explore the unique attractions in Nonthaburi. With no-aircon the window is open constantly. Each morning I awake to sunrise and the chants of monks reciting prayers in alms offering (Bintabaht) on the road below. At 8am the King’s Anthem sounds through loud speakers on the pier beneath me and from here on it is constant bustle. 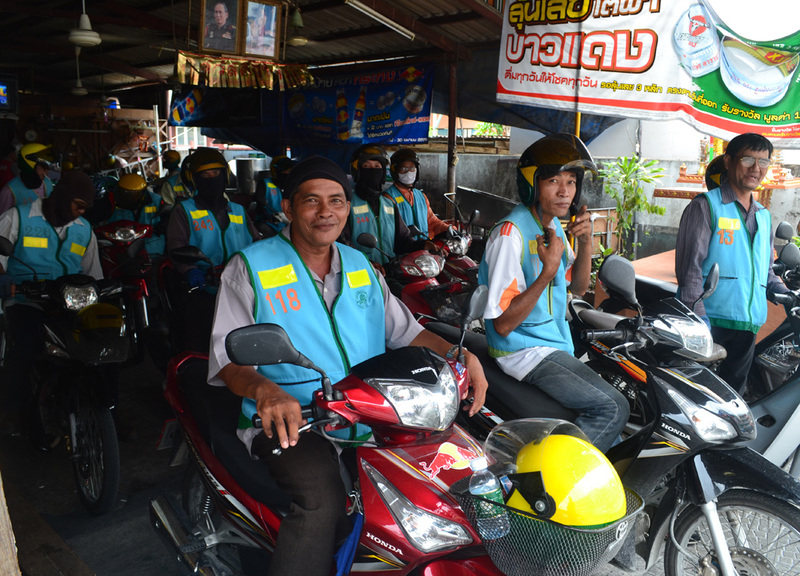 The beeps and clamor of tuk-tuks, traditional Thai music and Buddhist teachings resonate from the loud speakers, and the everyday chit-chat of passing locals. The Chao Phraya river is just as loud with passing barges, buzzing long-tails and the endless chugs back and forth, from the river boat crossing. The sounds are somewhat chaotic but for me it feels idyllic almost therapeutic. Directly below are street food vendors and wafting through my window are the smells of firing charcoals, grilled chicken (kai yang) and marinated pork (moo ping). This was more distracting than expected as relentless urges pulled me outside every time a new smell snuck through the window. So little changes through the day, this is everyday simple life at Nonthaburi pier, and it is what I love about the area, what I love about Thailand. The charming and seductive riverside scenes. 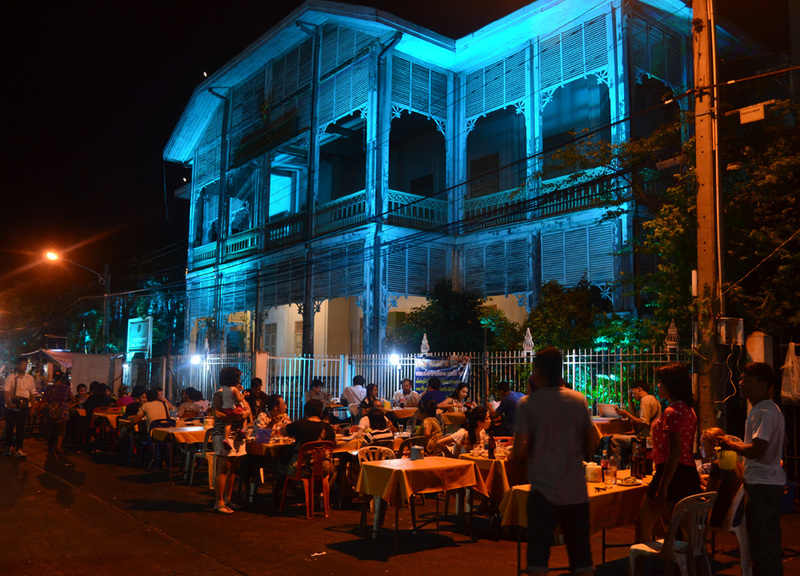 While for me these are the main attractions in Nonthaburi, there is more to the area. 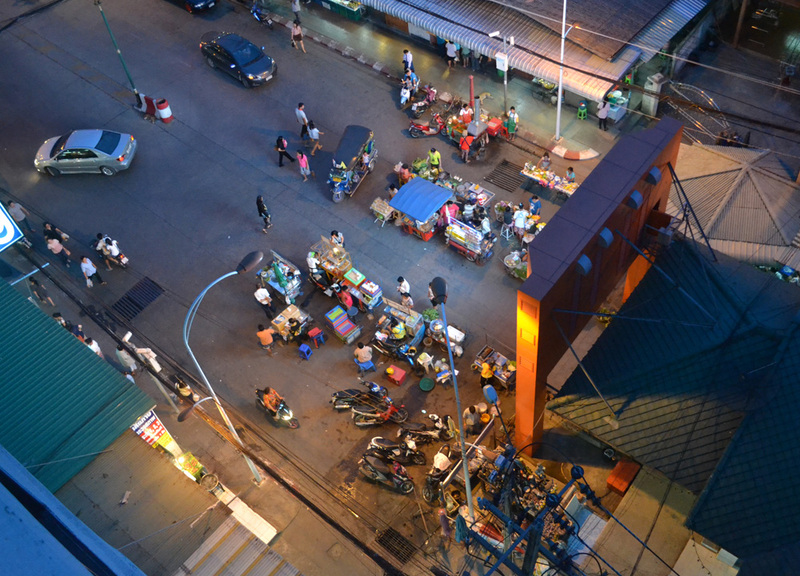 Nonthaburi central market is found daily, in the daytime, on the main stretch to the pier and clocktower. 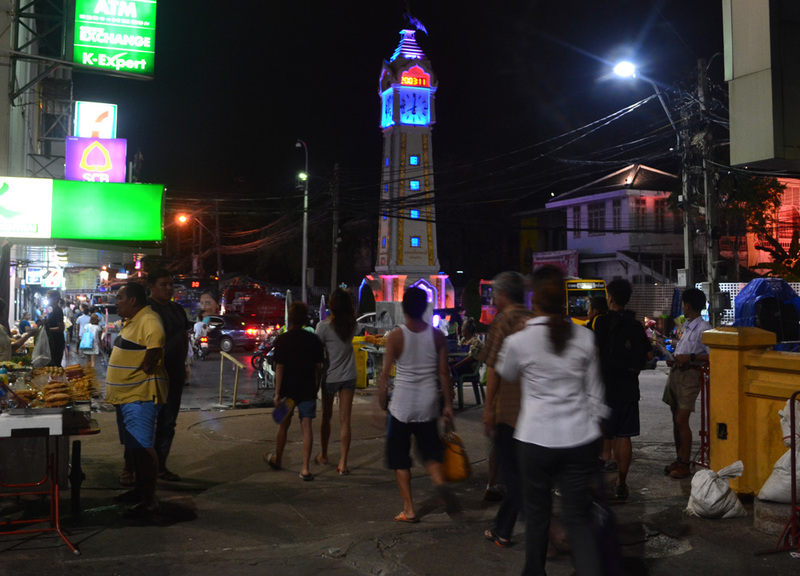 It is probably best to start at the pier and where the walkways of the main road are taken over by a seemingly endless maze of clothes stalls which eventually merge into the main market plaza and its sprawling fresh and wet markets. 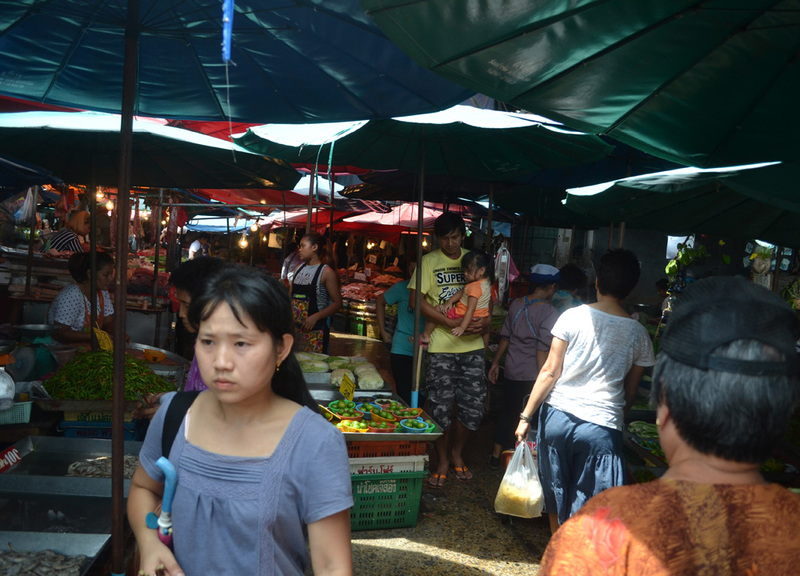 To be honest, these markets aren’t for everyone, and as expected for Nonthaburi they are in no way tourist orientated. 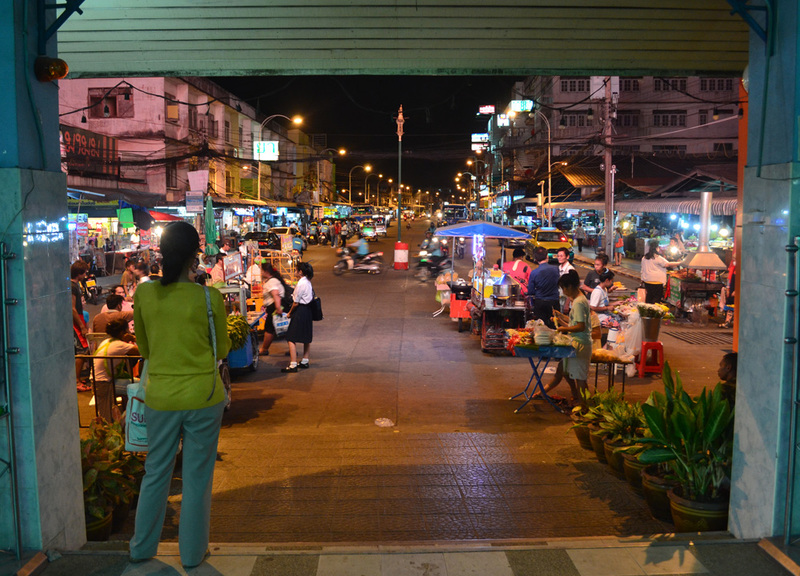 These markets are local markets and run central to the nearby communities for cheap supply of groceries, homewares and other junk and bric-a-brac. 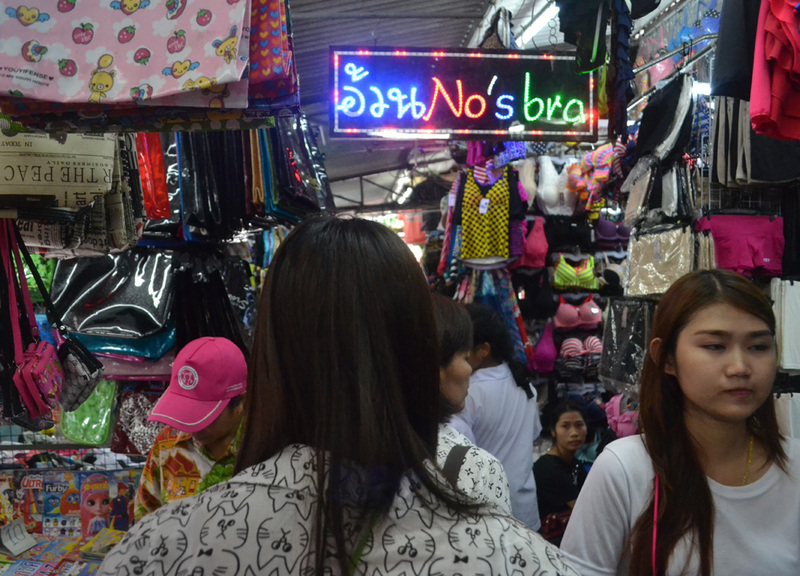 Other than ill-fitting t-shirts, fresh fruit and occasional street food snacks, there isn’t much for tourist shopping. For visitors these markets are about authentic local life, they’re good to poke around, to see new things, to see weird things. For eating I wouldn’t recommend it as cooked foods didn’t go much further than big batch ‘Khao Rad Kaeng’ (rice with curries). 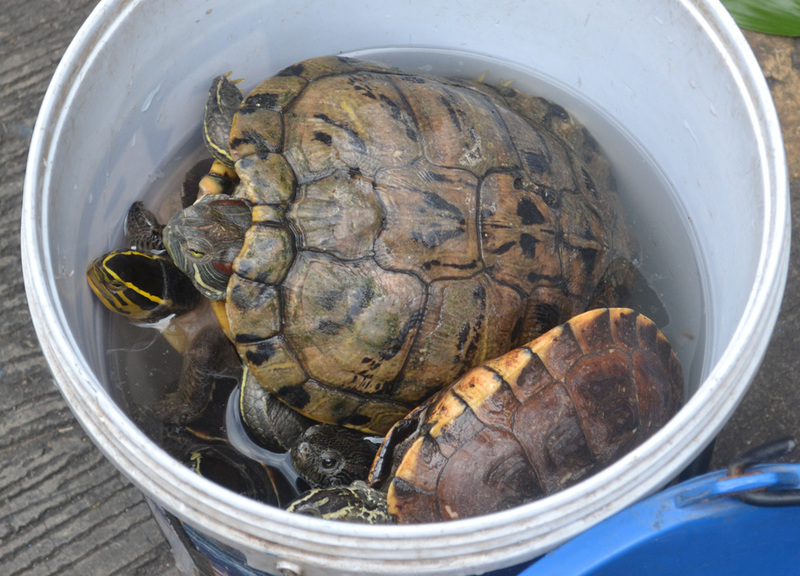 The much better bites are found at the Nonthaburi clocktower and pier area. Evening times are the better times as the day market dismantles while and the riverside night market comes to life. The Pier and Clocktower are again central to the action with lively scenes of street hawkers and uniquely Thai local life on the Chao Phraya riverside. Evenings attract a youthful crowd from surrounding areas who generally just loiter on the pier-side plazas, playing on their motorbikes, and doing usual teenage stuff. 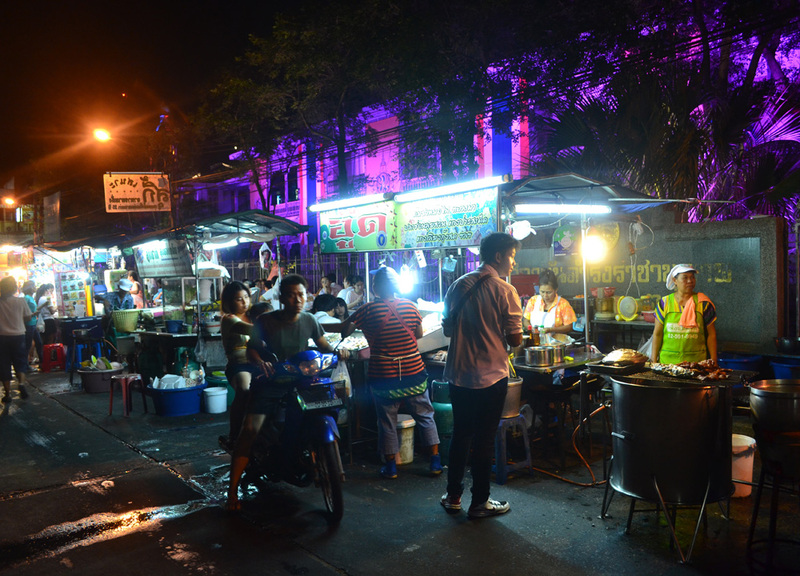 The kerbsides in front of the Nonthaburi Museum is where the street food carts take place with a small area of tables and chairs erected for those who don’t fancy pierside seats. 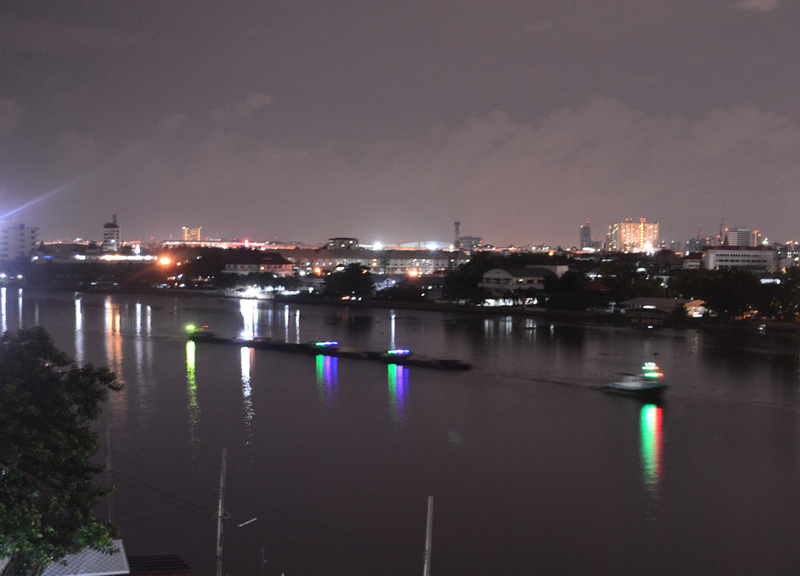 The area no doubt looks beautiful at night; on one side of the plaza the museum is draped in coloured lighting, while on the opposite are the passing barges of the Chao Phraya river. A unique and authentic Thai riverside scene. The museum at this time is closed to public, but if interested it does open in daytime and displays local, historical bits’n’bobs maybe worth a visit. 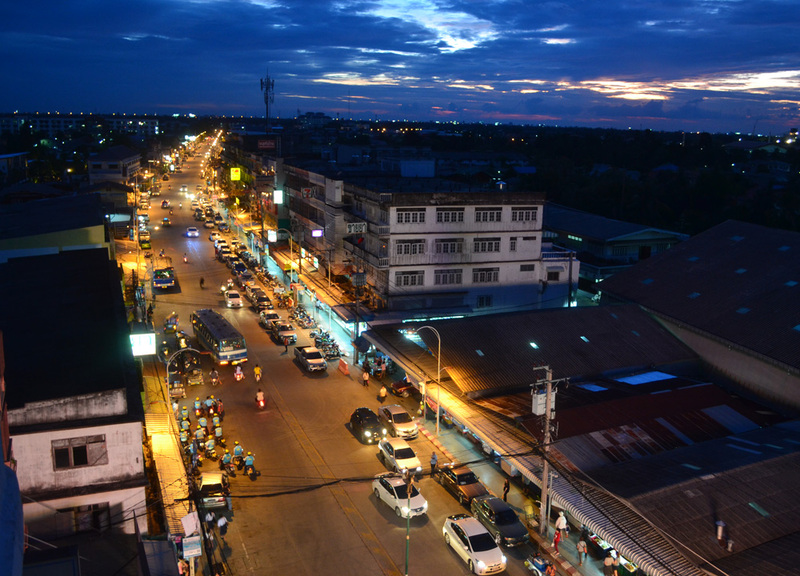 Koh Kret is famous foremost for its unique pottery heritage and of the attractions in Nonthaburi it is likely the most famous, more so than Nonthaburi itself. Within a shortish taxi ride (80 Baht) from Nonthaburi Pier it is also easy(ish) to reach. Koh Kret island shares the heritage of clay makers and is chock full of educational stuff, museums, exhibits and whatnot. It also feels like a primary school excursion which has been somewhat forgotten about. On my visit (Thursday) most of the exhibits and demonstrations are closed, even the Chit Beer Home Brewery 🙁 So instead I decide to explore elsewhere. Koh Kret is a relatively small island easily discovered on foot but does offer added options of bicycle rental. All the main attractions are kept close to the pier following a set circular path, which I find a little boring. Instead I disappear inland to less visited parts of the island. Koh Kret is peaceful, serene and green, and is perfect to just potter around, explore and escape the city bustle. 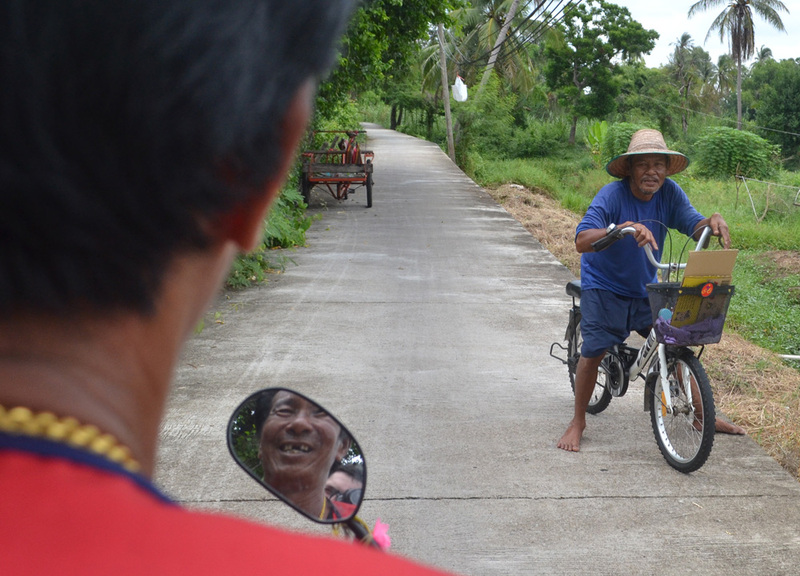 People and communities continue to live on the island and I spend much of my time balancing down stilted walkways, over lotus leaf ponds in pursuit of the local postman as he follows his rounds. After about an hour of being lost I flag down a random motorbike driver and hitch a lift back to the pier (3km, 50 Baht). I buy a pottery trinket for the wife and take the boat back to the mainland and forward to Nonthaburi. 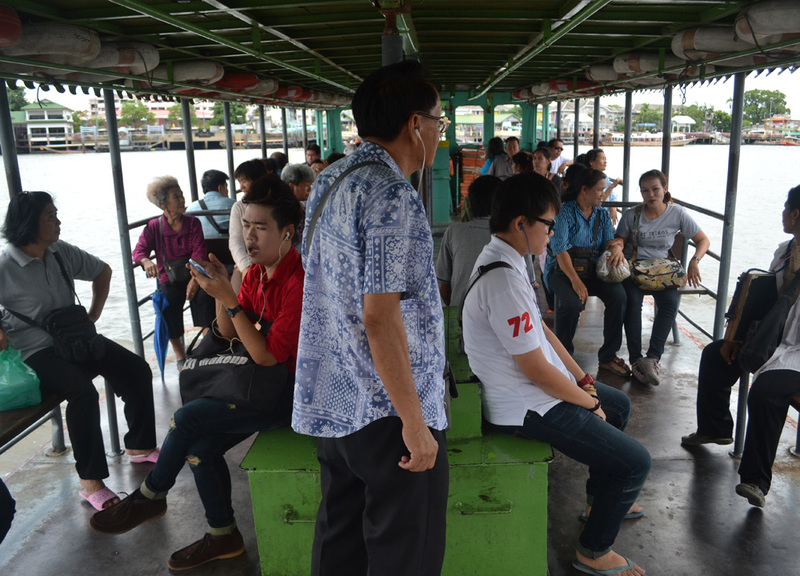 For travel to Koh Kret there are occasional boats from Nonthaburi Pier, but for most Nonthaburi will be the last stop on the line. The easier option is to take a taxi where a short(ish) journey finds Wat Sanam Neua temple in the nearby Pak Kret area. From here regular boats leave to Ko Kret island , every 5 minutes or so. 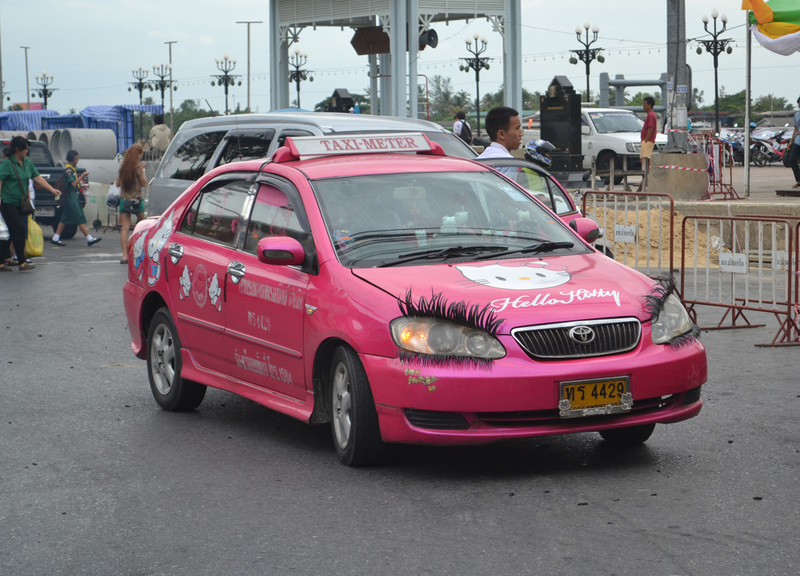 The simplest way to reach Nonthaburi would be by taxi from central Bangkok where prices will range from 100 to 200 Baht, depending on what area your in, and how busy traffic is at the time. To beat the traffic a better option maybe to travel by riverboat taxi where regular river taxis leave from Saphan Taksin Skytrain Station on the Chao Phraya River. Nonthaburi is normally the last stop on the line. Leaving from the Sukhumvit area I opt for the MRT underground option travelling to Bang Sue station and forwarding from there by taxi to Nonthaburi Pier (80 Baht). 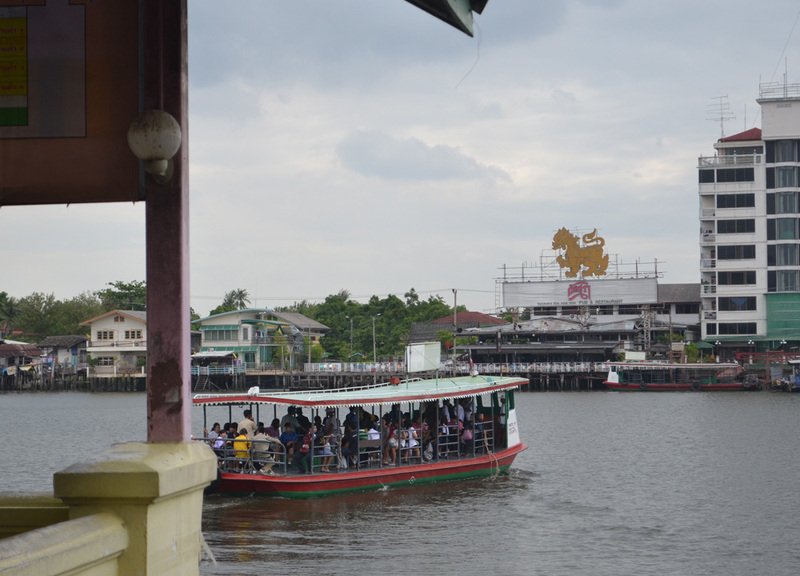 All the attractions in Nonthaburi will be on the near side of the river but if interested in crossing over to Muang Bangsri the boats leave regularly from Nonthaburi Pier (3 Baht).